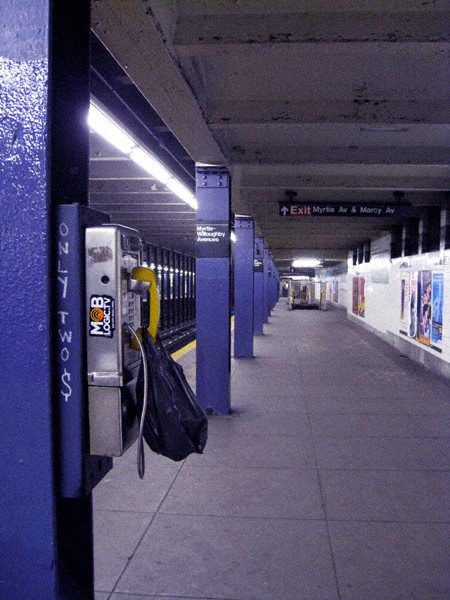 Question: Other than reading the signs how can you tell the following pay phone is not located in Greenpoint? The answer should be obvious to any Greenpointer worth his salt: if it was someone would be rummaging through the bag dangling from the receiver. After checking the change slot for any errant quarters, naturally.